Planning is well underway and this should be another great event. We always have a lot of great vendors, raffle prizes, and plenty of fun. 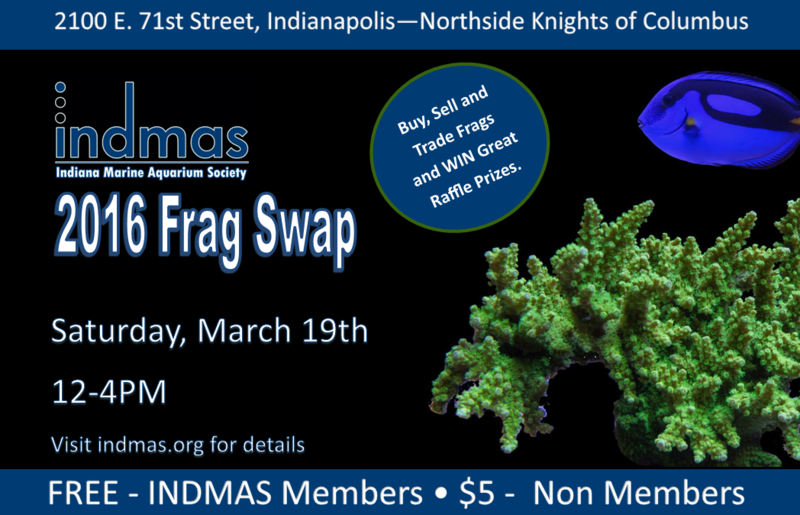 Admission is free for all INDMAS members and $5 for all non-members. Non-reefing spouse/children will not be charged for admission. There are 18 spots available for hobbyist that would like to set up a tank. Each spot is 1/2 of a 6-foot table and the cost is $10 for members, $15 for non-members (includes admission). You can reserve your table by paying for it on PayPal to treasurer@indmas.org. It’s first come first serve, please include screenname when you make your payment.